Protect yourself, your friends, and your family with these 366 spells to keep you safe from harm. In just a single day, there are a million opportunities for negative energies to infiltrate your consciousness--so keep this essential collection handy to protect yourself and your loved ones. 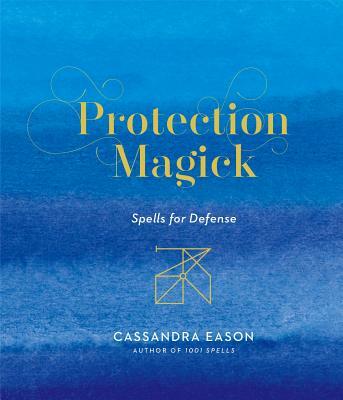 Renowned author Cassandra Eason collects 366 spells that ensure strong emotional and magical boundaries; she covers every possible situation, from the inadvertent absorption of a fellow commuter's sadness to an outright psychic attack by an enemy. Protect yourself from social media bullying and workplace ill will; your possessions from theft and natural disaster; your pets from illness and harm; and much more. Cassandra Eason is an international author and broadcaster, and a practicing solitary Druidess and white witch. Cassandra teaches and runs workshops in psychic development, magic, and witchcraft, all forms of divination, crystals, healing, aura and chakra work, and nature spirituality. She has written numerous books, including The Complete Crystal Handbook and A Spell a Day (both Sterling).